How Long Should Luggage Last? My research started with the life expectancy and durability of luggage. I wanted to know if there was even a point to buying high-end luggage or will it just get beat up regardless. 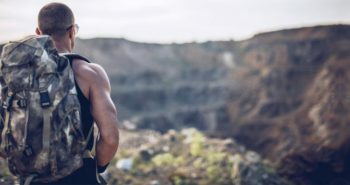 I started with some travel review sites and forums looking for some sort of Q&A in regards to a time frame people were getting out of their bags. I then stumbled onto an article from 2011, a Confessions of An Airline Baggage ‘Thrower’ at the HuffingtonPost. It was an interesting read, but the biggest takeaway was when the question of What kind of suitcases get damaged the most? Cheap bags that you buy at the discount store break very easily. If your handle is sewn on or is very flimsy, it’s probably going to break. If you travel a lot or pack heavy, make sure you buy a quality, durable bag. 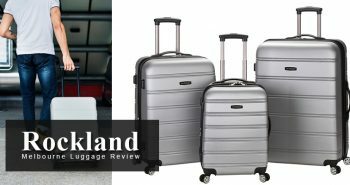 Hard-sided suitcases will get less damage, but also look for well-designed handles that are attached with rivets and some sort of protection around the wheels. Speaking of wheels, the best bags to get are the “spinners” with four wheels on the bottom. We like these because we don’t have to throw them when loading. We just roll them down the belly of the plane so your bag and its contents will suffer much less damage. 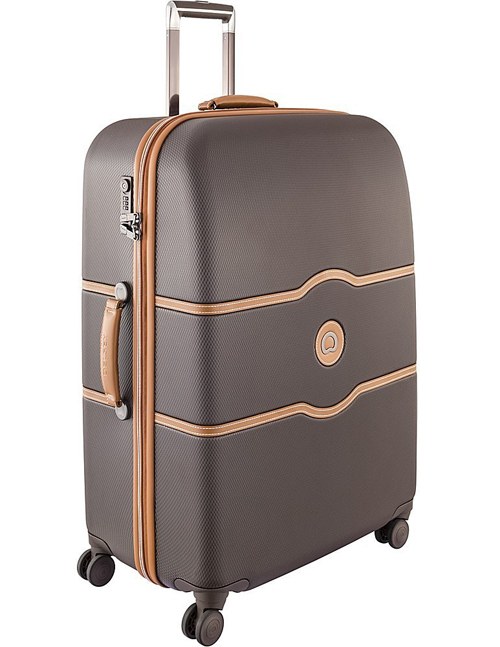 After lots of research, I decided to go with Delsey Chatelet Paris Luggage case in Chocolate Brown. First Thoughts When It Arrived: It looked so luxurious. It’s strong yet surprisingly very light in weight. I’ve never felt excited about luggage before but purchasing this suitcase for my honeymoon was definitely the right choice. Packing was very easy as it has two packing compartments with pockets and dividers on each side so I was able to effectively organize my things. The suitcase also came with two interior bags so I was able to keep my small items all in one place. It was all held down by tie-down straps so my things were safe and secure which lessened the risk of things breaking or getting damaged. The interior itself is divine. Why Did I Choose This Suitcase? I chose to go with the hard-side version to prevent rips and tears and damage to the case. It rained on our way to the airport and a few times in between our trip but thankfully the case was waterproof and nothing inside got damp or wet and there weren’t any leaked, unwelcome odors when I opened up the suitcase from being in the rain. My suitcase slides like a dream and with the double spinner wheels, it was easy to maneuver around. The handle also slides up with no trouble and is strong enough to hold the weight of the luggage when I briefly picked it up by the handle. I was also really happy to see the built-in lock on the side of the case as I get quite paranoid about unauthorized people being able to open my case during transit. We also used it as a safe whilst traveling which came in handy when traveling on local transport and we were able to leave our belongings at the hotel with peace of mind. This Delsey Luggage Chatelet Hard has brakes too. This is a great feature, especially when we were waiting on ship ramps and elevated escalators. No more using all my energy and strength to keep my case from tumbling over. What seems like a goofy feature actually came in very handy. We also encountered some long waits at airports and train stations throughout our trip so the case served as a seat and table when we needed it. 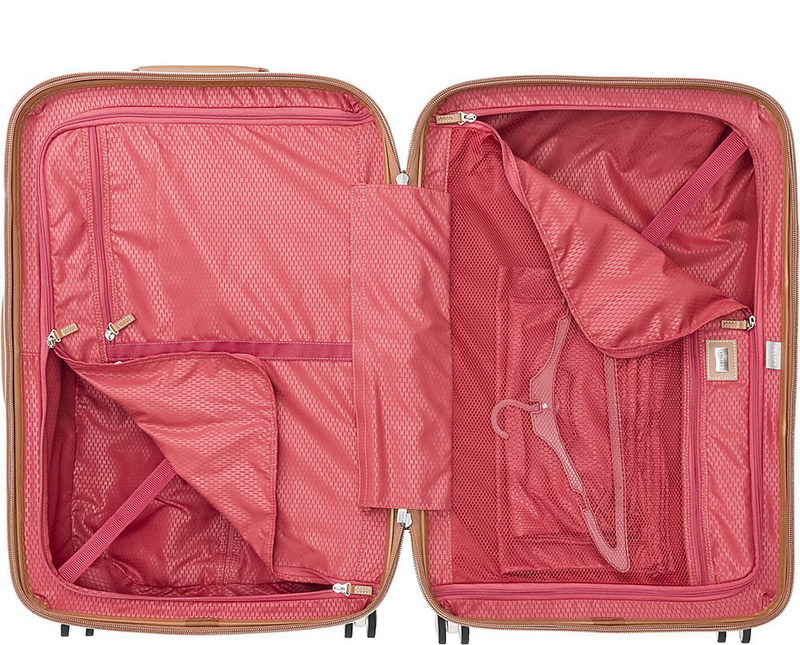 The Girl in Me: I need to emphasize how amazing this Delsey Luggage Chatelet Suitcase looks. Being on my honeymoon, it was important for me to have a case that looked the part as I would be cherishing these memories and photographs for the rest of my life. This case did not let me down. It blended in well with the vision we were trying to create on a European Road Trip as it was a touch of Parisian luxury and it looked fantastic in the photographs. As we traveled, I had many people admiring the case and even had someone stop me in Charles de Gaulle Airport asking where in Paris did I get it from. How Did The Suitcase Hold Up? I expected the case to look a bit battered and bruised after our European adventure but through airplane travel, buses, trains and ships (and one dodgy motorbike ride!) it was able to take the toll of traveling. It inherited a few marks along the way, but nothing a cloth and water didn’t sort out. It is a luxurious piece of luggage that will give you convenience, style, and hassle-free travel. I have no doubt that it will last me a very long time and it’ll be coming everywhere with me from now on. 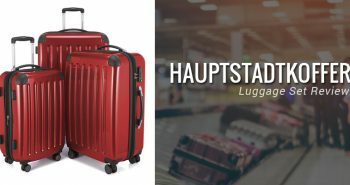 I’m very impressed and happy with this high-quality product and I highly recommend it to anyone looking to invest in a fantastic piece of luggage. How Does It Compare in Price? This was big for me. Obviously, buying the Delsey Hard Case Luggage is not cheap, however, thanks to the free shipping of Amazon, I saved a ton. In comparisons to other luggage bags, I would say the DELSEY Paris Hard Case Suitcase is priced fair. You could easily spend way more on other luggage options and not get all the features or high-end designer. TSA Combination Lock – Optimal security for your luggage with a TSA compatible code approved by the US Transport Security Authority (TSA) so that American authorities, using a special TSA key, can check your luggage without damaging it. Smart Fittings – Contains several compartments and pockets to make your personal items more accessible. Brake wheels – An innovative built-in system which, when activated, can lock the wheels so that 4 wheeled luggage remains in place, such as in public transport for example. Web Tracking – The unique identification code enables you to be put in contact with the person who found your luggage in the event of loss or theft in order to recover it. ZIP SECURI TECH – Unique luggage closure system 41 times more resilient than a conventional zip fastener to maximize security and avoid the risk of any breaking through the zip. Made of 100% Virgin Polycarbonate. Recessed TSA lock for maximum security. Superior silent-running double spinner wheels. 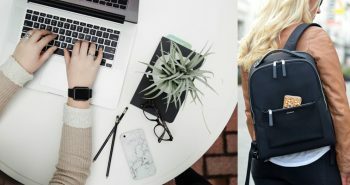 Thanks for my Delsey luggage review, which was my debut article for Slick Panda. 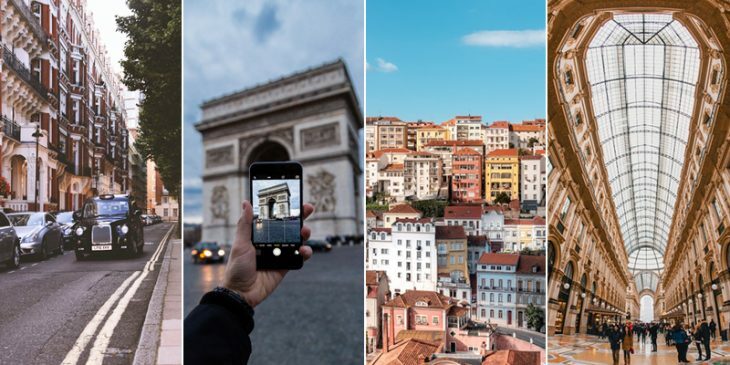 Liane Corbin describes herself as a traveler that takes pictures for her, not for Instagram. She likes meeting new people and trying new foods all over the world. Liane and her new husband randomly pick spots to see. 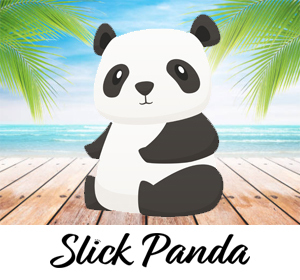 In her downtime, she has recently taken up blogging for Slick Panda.